To ensure consistency, two HAPS senior scientists at the John Hunter Hospital laboratory are primarily responsible for placing orders for blood and blood products in BloodNet. This allows those two scientists to have control and accountability over what is ordered ensuring consistency in ordering practices and wastage rates. In addition to utilising BloodNet for the order and receipt of blood and blood products, HAPS have developed and utilise the electronic system, eBlood, for monitoring and managing all inventory. product required to be ordered for each laboratory. anticipated return of older stock from satellite hospitals. IVIg is only ordered weekly and is not released for a patient until an authorisation is sighted by one of the HAPS senior scientists. Saturday – one delivery per day, a small delivery in the afternoon. Around 50-80 packs of red blood cells are delivered each day to the John Hunter Hospital laboratory for receipt and group check by the HAPS scientists before redistribution onto the satellite laboratories. Deliveries bound for satellite hospitals are repackaged by laboratory staff and sent via a HAPS courier. Urgent or life-threatening deliveries outside these scheduled times can be delivered to HAPS in three to four hours from Sydney by taxi. The cost of such deliveries is around $500 and funded by the Blood Service. Due to the careful and efficient management of inventory by the HAPS team, this method of delivery is rarely utilised. The electronic system eBlood allows laboratory staff to review actual inventory data over several years and develop reliable statistics and assumptions from that data. As a result, optimal stock numbers are reviewed regularly against historical usage and changes to that usage over time resulting in an adjustment to that inventory where required. Stock is actively managed by the Senior Scientist for all laboratories under their auspice. One such way that stock is actively managed is a policy decision where expired products are only discarded at the John Hunter Hospital laboratory. This enables staff to have control over the age of stock and also to be responsible and accountable for all products that are time expired. The HAPS scientists enter the reason for discard into both eBlood and the BloodNet Fate module before disposal of the discard. The HAPS scientists also closely monitor the stock on hand and ensure that it is rotated regularly to keep the age of stock low (see section 4. Age of Blood). As well rotating to keep the age of stock low, the stock is rotated to ensure that the requirements of the satellite laboratories are met and the policies implemented by the John Hunter Hospital laboratory are adhered to. These policies include direction on expiry of standard stock, trauma patients who require blood that is less than 14 days old, irradiated product requirements and paediatric patients. The HAPS staff manage to maintain the lowest expiry rates in the country while complying with all of the above polices, a truly inspiring feat. In addition to the satellite laboratories and fridges, HAPS supply products to medical retrieval teams (e.g. ambulances and helicopter) on request. Products are issued as stock would be to a remote refrigerator or a satellite laboratory. On this basis it can be monitored as part of the John Hunter Hospital laboratory inventory. Unused stock is immediately returned to the laboratory and accepted, subject to a verified cold chain. Platelets are a special case when concerned with inventory management. They are routinely ordered and held in stock by the HAPS laboratory for routine issue to the John Hunter Hospital, the John Hunter Children’s Hospital and the Calvary Mater Newcastle. Satellite hospitals do not hold platelets in stock. 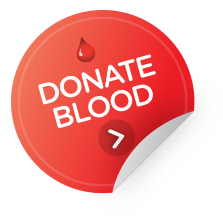 Platelets can only be requested from the John Hunter Hospital laboratory for a specific patient. The haematologist on call must approve all platelet infusions prior to laboratory release to any patient in any hospital. The private laboratories do not routinely stock platelets either, but can obtain them from the John Hunter Hospital laboratory if required. The John Hunter Hospital laboratory has transfer arrangements in place with private laboratories in the area for platelet exchange. Platelet age on delivery is generally 2-3 days old (expiry is 5 days) so limited stock is maintained to keep unnecessary wastage to a minimum.